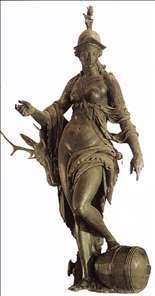 The artist, born between 1540 and 1550 at Hertogenbosch, belongs to the generation of Dutch sculptors who introduced into the German courts an international style that, fused with traditional local elements, paved the way for the great flowering of Baroque art. 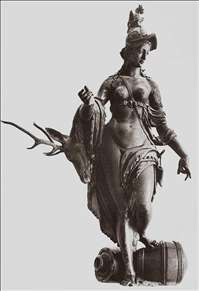 Gerhard worked in the workshop of Giambologna in Florence until 1581 when he was called by Hans Fugger to southern Germany to execute the first Italian style fountain at the north of the Alps in the garden of his castle at Kirchheim. After a period of work in Augsburg, where he executed the Augustus fountain for the city (1594), Gerhard joined the court of the Dukes of Bavaria. 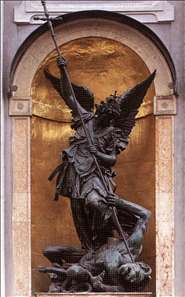 Under the direction of Friedrich Sustris, like Gerhard a native of the Low Countries, he participated in the program of decoration for the Jesuit college church of St Michael in Munich. 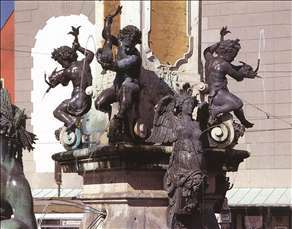 See more details about "The Allegory of Bavaria"
See more details about "Augustus Fountain "
See more details about "St Michael Slaying the Devil"
See more details about "Venus and Mars with Cupid"